We are retired. Our hobbies are collecting antiques of all kinds. Antique toys, automobilia, dolls, general store, gas and oil, you name it we probably collect it. My favorite car is the 1922 REO. It is a rare car that you just don’t see. There isn’t many of them left. I have enjoyed learning how to work on it and how it works. It is an original car which I prefer. When I bought the REO, Stephanie didn’t care what I bought as long as it had windows. When she saw Hershel ( she named the REO) she noticed that it doesn’t have windows. I explained that she didn’t specify how many it had to have and it has front and rear windows. 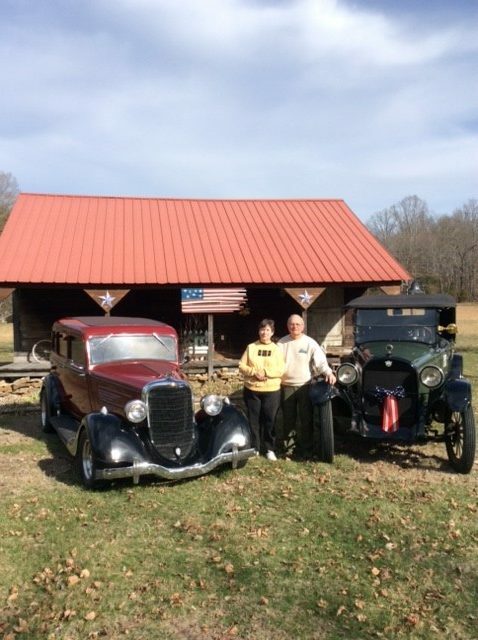 Although we have 1934 Dodge sedan, I think she likes Hershel the best.